Attention: Before you update your iOS device do you have your data backed up? Updates do not always work 100% of the time. It is good practice to back up your data before doing so. If you need help backing up your data, click here for more information on data backup options. If this is not a LTP iPad, please check with the person in your building who manages iPads before doing update. 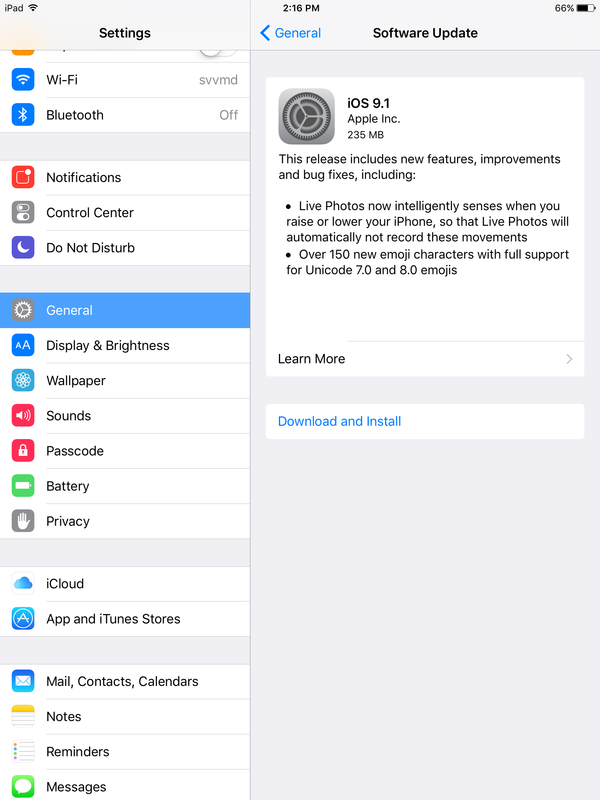 Below are directions on how to update your iOS device. It is important that you have at least 60% battery life and that you are connected to a wifi connection that gives you internet access. Your device will need to be connected to the wifi for the entire update. Moving your iPad during the update may cause undesirable results. Depending on how fast your wifi connection is, the amount of time it will take from start to finish will vary. Under General tap on Software Update. The iPad will search for the latest update. 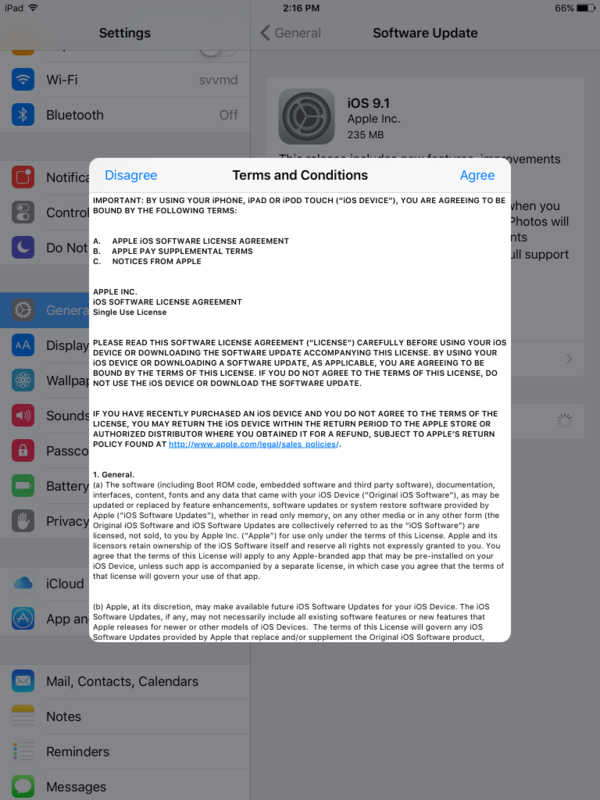 Note: tap on Learn More to see what Apple has included in the update to see if it is right for you. Once the update comes up tap on Download and Install. 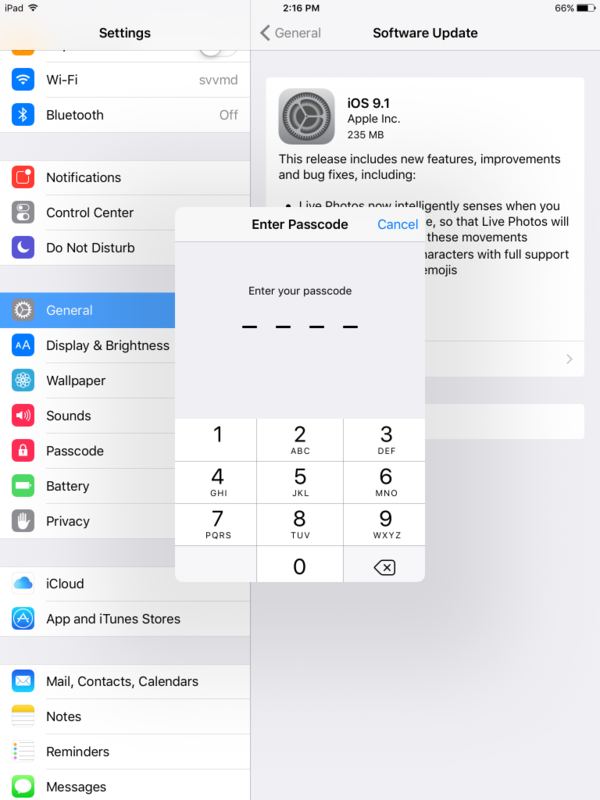 If you have a passcode set, you will be required to type it in. Once your passcode is typed in you will need to accept the terms and conditions. Tap the Agree option to continue. The iPad will automatically download the latest update and install it. Below is a screen shot of what it should like while downloading/installing the update. Once the update is done downloading and preparing, your iPad will restart and install the update. After the install your iPad will restart and you will be updated to the latest version. 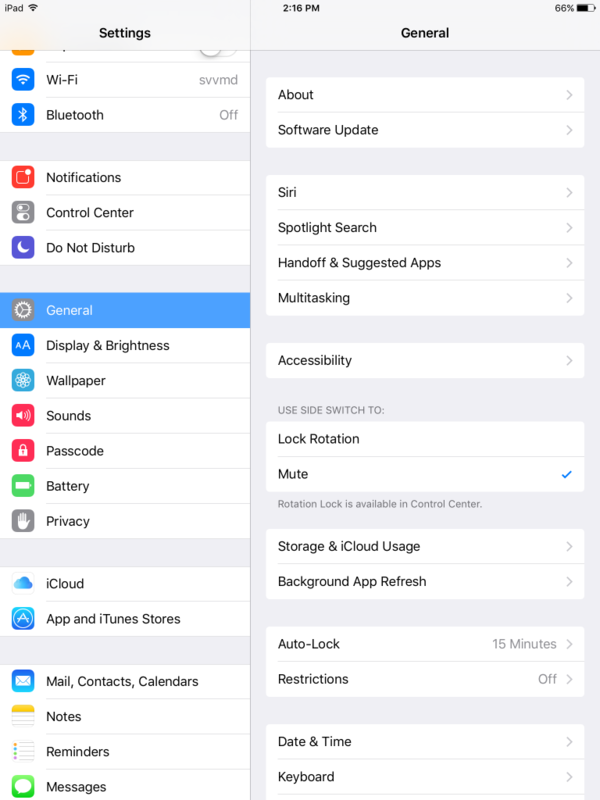 Note that after an iOS update you may need to go through some basic configuration setup again.